Unit 21 Lot 130; TOT ID# 1606. This private ocean meadow home is a well maintained home within walking distance to the beach. Located on a quiet cul de sac so close to the water's edge you can hear the crashing ocean waves. relax in the sauna or play tennis. Guests will love to take in a marvelous sun set over the sea while others will appreciate the wood burning fireplace. Those who like to stay connected will appreciate the Wi-Fi throughout the house as well as the free nationwide long distance service. When entertaining you will love the well equipped kitchen and the cook will appreciate the great quality outdoor grill with the convenience of a direct propane connection. Soak in the hot tub in complete privacy anytime of the day especially under the light of the moon and watch the star-filled sky fill your soul with wonder. 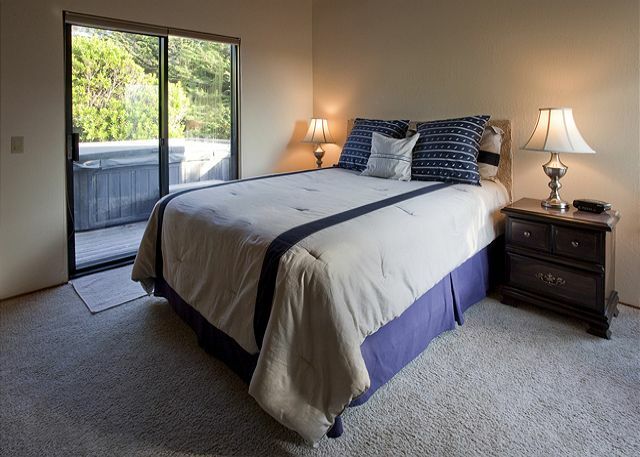 This well equipped home sleeps six with 2 bedrooms and a loft. 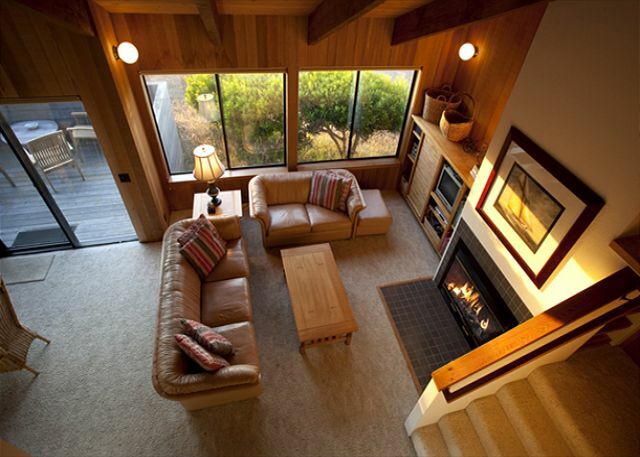 This cozy home complemented by the good taste in the furnishings makes the perfect getaway to relax and truly enjoy the beauty of nature and the coast at The Sea Ranch." Bed linens and towels are included with this rental. This house in a great location, if the weather had cooperated we could have gone out on more walks. We have already said there is no bad weather in sea ranch. 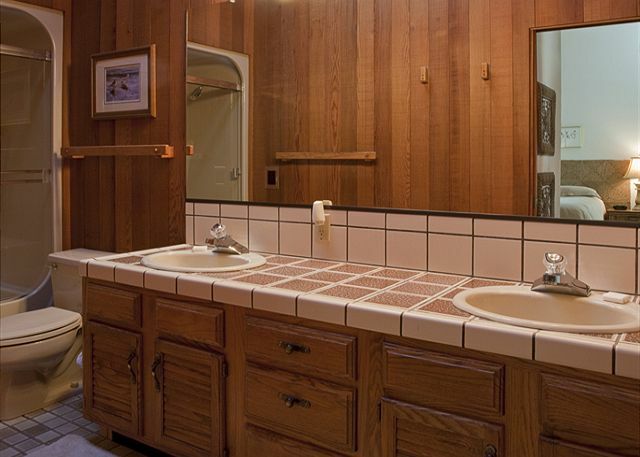 This house is comfortable, with larger bedrooms and bathrooms than you often find at sea ranch. It is in an interesting location, being at the very end of "through" roads at the ranch. From this house, you can walk, bike, or drive all the way to the north end of Sea Ranch without having to get on Highway 1. Anywhere further south and you need to get onto Highway 1 to reach other points in Sea Ranch. The house was very clean, with plenty of linens, blankets, etc. 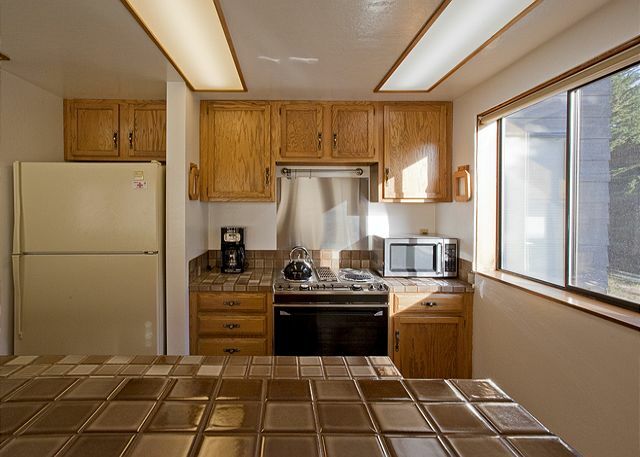 The kitchen is good-sized and very usable, but it is in need of updating, and has the bare essentials for cooking. It is not nearly as bad as the pictures make it out to be. The house has very generous outdoor decking, and, very unusual at a sea ranch rental, you have access to the garage, which is where the laundry is. We enjoyed our stay very much! We were worried that it would be foggy whole time, since we went in summer, but we had bright skies and sunshine nearly every day. Rental is in amazing location, can smell ocean air and hear the waves as well as see the ocean. we had a great long weekend stay at Breakers End. Lovely house, within walking distance to several great beaches. Easy check in/check out, friendly staff at Beach rental, house in good condition and kitchen well equipped. Hopefully we will be back, the afternoons in the sun on the deck were memorable. The place was even better than the description and photos made it seem. All amenities were in order and well maintained. Hot tub at night was amazing. Right next to great walk along the coast with plenty of beaches to explore. Can't wait to come back again. We've been there a number of times, always been a great experience as was this time. I always enjoy spending time at Sea Ranch. This time I arrived with a cold and enjoyed being able to see the ocean even from inside the house. Going for short works and being at the beach gave me the fresh air and the awareness of my breath that I needed. Thank you for being such welcoming hosts and keeping the house in such a sweet atmosphere. Home was very clean and well-maintained. Except for the lack of screens on a few windows, all was in order, comfortable, with nice west and east decks for sitting and hearing the waves. Not the greatest view we've ever had but that was not an issue as the ocean was just a few steps away. Breakers End was a great getaway after a busy school year for our family. Being at the end of the road it was even quieter than some other places we have stayed in Sea Ranch. It was also close to the beach and walking trails which was so convenient for us to explore and wander. The house was very clean, had a view of the ocean through the trees, and hot tub which made our stay very relaxing and of course made our stay feel too short! 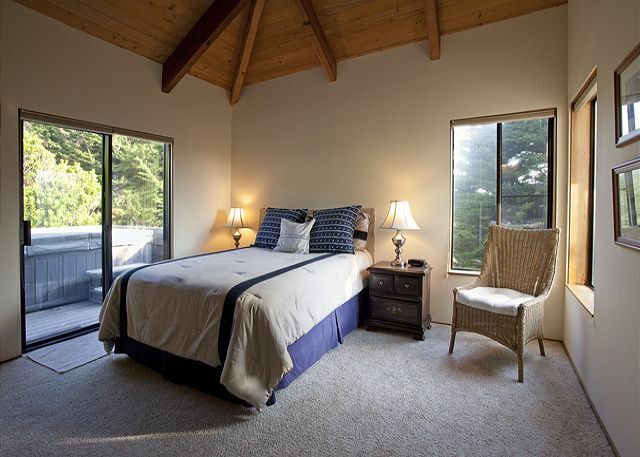 Sweet relaxation in Sea Ranch! Our family has been vacationing in Sea Ranch since I was a child; this is the 2nd year in a row my husband, daughter and I have rented this lovely home and it couldn't be more perfect. Beautiful views of the water, a well-stocked kitchen, cozy living room and short walk to the beach ... it doesn't get much better! 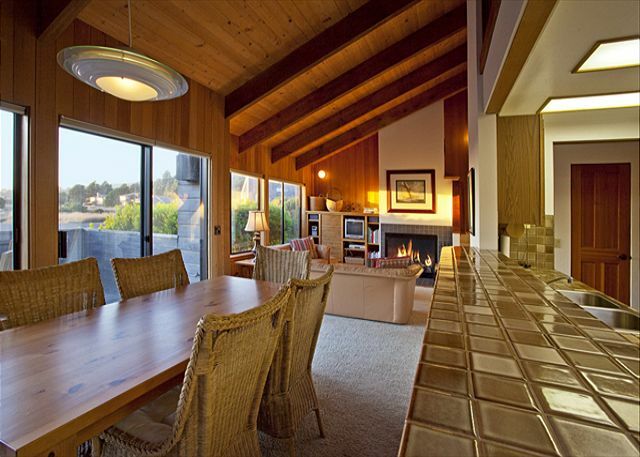 Had a lovely time in this Sea Ranch home and in Sea Ranch itself! We are a family of four (5yo and 2yo children) and the space was perfectly sized and stocked--there were even some puzzles and games for our kids' age group. We had great adventures at the beach, in tide pools, and at the Moonraker community pool. We saw deer, seals, quail, and vultures. We're looking forward to future trips to Sea Ranch and will stay in Breakers End again if it's available. Breakers End is a very nice, clean rental. 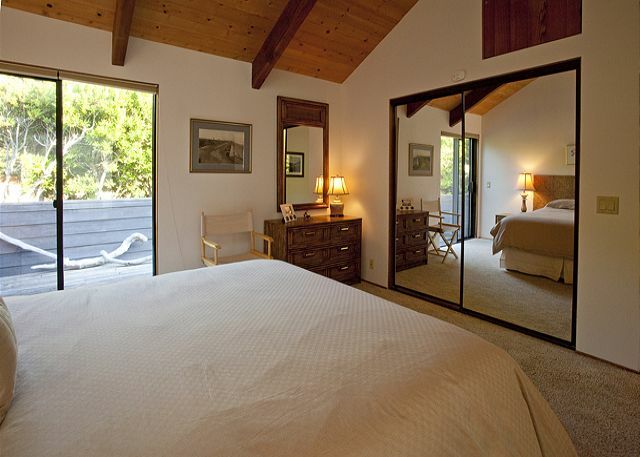 The home was nicely appointed and beautiful, with easy access to trails and beautiful views. Good location, property in good condition. Recommend for two couples and two singles (or kids). Lovely , well-equipped home replete with 2 bicycles. My husband, son and I had a very enjoyable stay at Breakers End. The house was very comfortable and the kitchen well-equipped. We swam everyday at the wonderful Ohlson recreation center pool and enjoyed exploring the trails and beaches close to our rental. We also enjoyed seeing the seals at Shell Beach. Loved the location, the nearness of the trails and beach. House very comfortable. Very much like having linens provided. Downside - too few towels; too few condiments, spices, etc. for those of us who enjoy cooking. The customer service was fantastic! The home was exactly as pictured! However there were books everywhere (which is a good thing) but if your traveling with a toddler be prepared to chase him/her around most of the stay putting books back in their right place. Also bring your own DVDs as there are none at the rental. The beds were great so soft nice bedding, hot tub was a nice feature, and there was very thing you needed to cook with right in the cabin. The only downfall was the horrible pillows on couch. I'm still picking out feathers from my clothes. Overall a great place to stay, beautiful views, great home, and a great vacation. We came here looking for a quiet place to read, listen to music and watch the breakers roll in and that is what we experienced. The house was spacious, beds comfortable, heat ample, and kitchen utensils well-stocked. 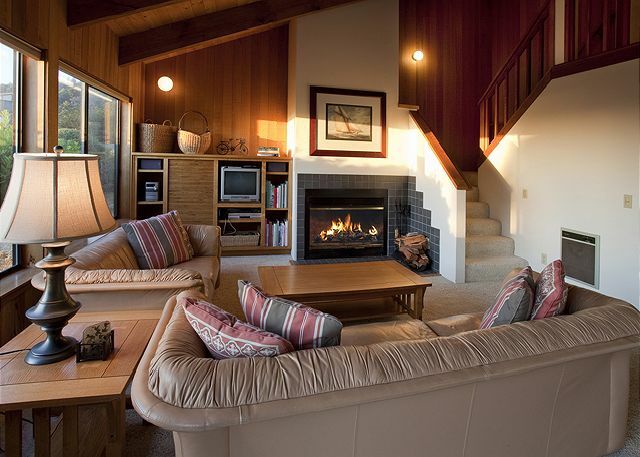 Breakers End is the ideal getaway for those who don't want to spend a fortune to stay at Sea Ranch. The unit is spacious, well equipped, and ideally located a stone's throw from the ocean (close enough to hear it with the windows open) and a few steps from the coastal trail. Highly recommended for recreation and relaxation. This is the second time I have rented this house. It is on a cul-de-sac and the houses on either side are not closego, so the house is very private and it is in the middle section of Sea Ranch so very convenient to everything. Very close to the bluff trail. The layout of the house is very livable and comfortable. The host collection of books is absolutely amazing so you probably don't need to take any reading with you. Very enjoyeable. The rental was clean, well equipped and well furnished. Had a wonderful experience at Sea Ranch. The location of this house is just perfect. A short walk to the beach, plus it's at the end of the court so there is little traffic. Our family loved exploring the different beaches. Each beach has a different feel which made it a lot of fun. The layout of the house is great and the owner and management company are very easy to work with. I highly recommend this house to anyone planning a trip to Sea Ranch. great house, perfect for a couple, even two of them. no privacy in the upstairs loft so maybe not ideal for three..everything needed for housekeeping present and in good order, everything clean. loved the book collection; location of the house is fantastic providing quick access to trails and glimpses of open water. wifi router conked out next to last day, hopefully fixed by the time we return, which we want to. We enjoyed a wonderfully relaxing 4 nights. Beautiful well-kept home. Great service -- we had a problem with a toilet (our fault) that as fixed immediately. Overall a great home with all the amenities in a wonderful location. The house has a great layout with two large bedrooms (one master) and a nice loft with tho twin beds. The kitchen was fully functional and we used it all. The only thing I couldn't find was a plastic spatula. From previous reviews, the bbq is in the garage...which I didn't think to check until mid-way through our stay. The location is right next to a Sea Ranch private trail leading to an ocean bluff after a brief 2 minute walk. Loved the house and location. The property management folks were very kind and always had a good solution/answer when asked. They were super helpful. Breakers End Home is Delightful! The home is cozy and comfortable. 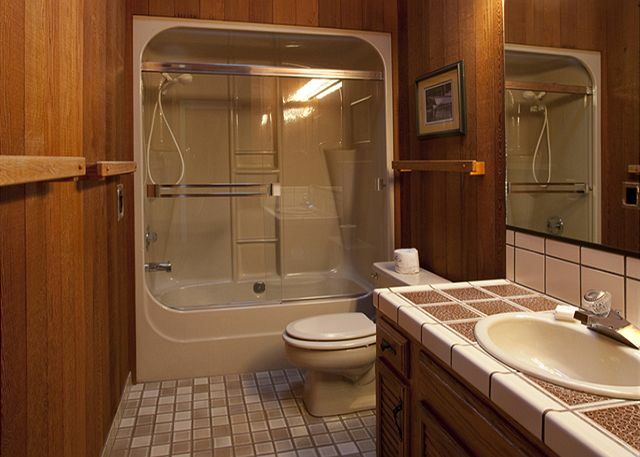 We loved all of the amenities...From the tasteful décor to the gas grill and the secluded hot tub. We highly recommend this house! the house is nice, though on the older side it by no means feels dated or worn as the owner maintains it well. we were comfortable and centrally located. It was an easy walk down to the beautiful beaches, a nice bike ride to other beaches and a short hop in the car to Gualala for supplies. It was all very comfy, relaxing, private and beautiful. The kitchen was well stocked and we were able to cook great meals throughout our stay. we can't wait to come back. Oh and the book collection is impressive! Breakers end is a delightful well appointed ocean view home located near the oceans edge in the heart of Sea Ranch. Only drawback I can think of is that I never found a barbecue, however, I may have been mistaken as to whether there was meant to be one on the property. My family and I have been regular renters at Sea Ranch for over a decade. We've stayed in many homes. Breakers End is a delight. The layout is perfect for our family of 4 (parents and young teenagers), with comfortable gathering space to be together and enough private areas to each have a place of our own. The home is well maintained with a few updates throughout. The furniture is comfortable and the library fabulous. The kitchen is fairly well outfitted for preparing simple meals. The location is very convenient to excellent beaches, as well as a pool and tennis courts. A longer walk can take one to the lodge in about 30 minutes. One caution: headlights from cars driving down the street shine through the window coverings (not black out shades) into the Master Bedroom. Fortunately, this road sees little traffic; however, this may disturb light sleepers. Sea Ranch, and the Breakers End, provided us the perfect escape from the normal hustle, bustle of metropolitan life. The house was perfect for us and the location was excellent. Never had time for the TV! We contacted the owner direct and found him to be very reasonable man who set up a special agreement for us based on our in ability to confirm our travel times. This was our 3rd year staying at this house. We love everything about it! It's clean, well laid out, in a great central location with a comfy loft and hot tub! Can't wait to go back! We loved the location of this home, just a short walk to the best beach we visited the whole trip. The staff was friendly and helpful through the entire process making the vacation that much more pleasant. We will be sure to return to Breakers End soon; until then those beautiful sunsets will remain in our daydreams. Nice but less ocean than hoped for. Excellent home and very well kept. We probably should have done more research as the home has less exposure to the view and sound of the ocean than we'd hoped for. Pictures on website were accurate and not misleading, but Google satellite view was a bit dated (as they are) and the growth (trees and bushes) was more than we would have liked. But what an excellent and well kept and well furnished home. Home away from home--with a hot tub! Perfect location, private, quiet, comfortable. Close to walking trails--great walks in either direction, north or south along the coast. Beautiful! Nice and quiet, with very few neighboring houses, at end of the road. Hot tub and back deck nice and private. Modest view of ocean from house and from hot tub. Comfortable inside, with all the amenities. Good shower, comfortable beds. Western sunset view from main rooms and front deck. Internet (and cable reception) is spotty up there, so be prepared. Surf supermarket in Gualala has everything you'd need, so no need to shop in advance. Kitchen is well-equipped. Not lavish, but pleasant and definitely comfortable. Good selection of books! Already planning to come back! Will choose this one again. Once again, we loved our week-long stay at Breakers End! Can't wait to book it again next year!! First, handling the reservation was a pleasant experience. Arriving at the rental home, we found it in an attractive location. And our four day stay could not have been better. We had four people at this home for three nights to celebrate my Mom's 84th birthday. It was the perfect location, offering quiet and solitude, but still close to trails for hiking near the coast. Lots of wild life including a great blue heron, several deer and a bob cat (I think). Perfect weather enhanced our stay, but it would have been great in any weather. We prepared our own meals with all the necessities for cooking provided. The hot tub was wonderful for star gazing at night, too! We'll be back to this home! Everything including the weather was wonderful. Breaker's End was in excellent shape and had everything necessary for our visit. The closeness of the beach and pool were a great benefit. at the rental office was awesome to deal with. She was very knowledgable and enjoyable to talk to. Loved the hot tub. Breaker's End is very clean, nicely laid out with nice furnishings. Would go back (the weather wasn't very good - can I complain about that?? :-) ). Beautiful, comfortable, clean home in a great location. It was one of the most relaxing weeks we've ever had. Breakers End - Cozy & Comfortable - Great Family Spot! We have stayed at several rentals over the past decade. This property was everyone's favorite. It was the cleanest as well as the coziest! We had 4 adults and 2 children at this rental. It was the perfect size. The loft was great for the kids. Hot tube and fire place were really nice to have. Hiking right out the door. This is a great house for a family of 3 or 4. It's well-maintained, and within walking distance to the beach. It's well-situated, although there are no ocean views from the property. I would definitely stay here again. We had a great time and a relaxing weekend at the Breaker End house. The house was nice, clean and confortable. It was in a great location. I would rent this house again. We celebrated 4 birthday's and had a wonderful time. 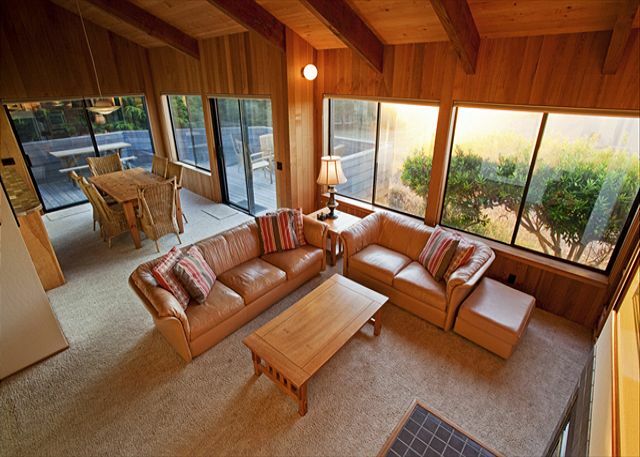 This is one of the best homes I have rented at Sea Ranch. 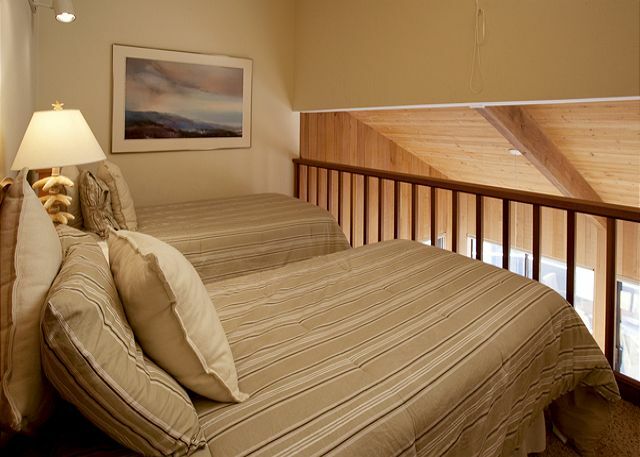 Location is quiet with easy access to the hiking trails. The home is spotless throughout, warm and inviting. Can't imagine a better place to spend time. Wish I could live there. 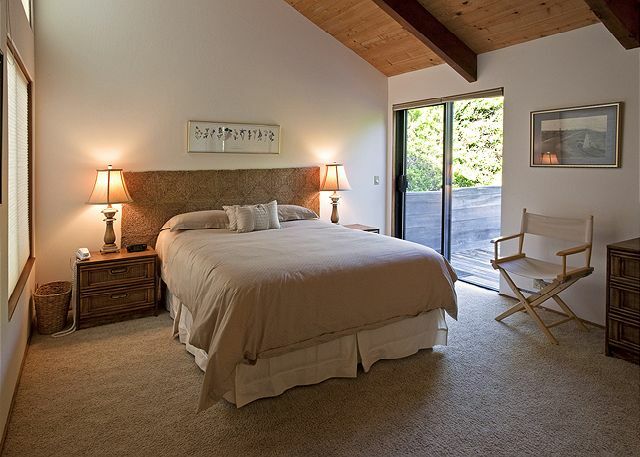 Finding another comfortable vacation rental for 2 Senior couples is not always easy. We had a wonderful time and appreciated having the linens(we paid for) there when we got to paradise! a quick stroll from Stengel Beach! Great location, and affordable comfortable accomodation for a family of 5, this is the perfect getaway. We thoroughly enjoyed our stay. We were very happy with Breakers End and plan to come again.